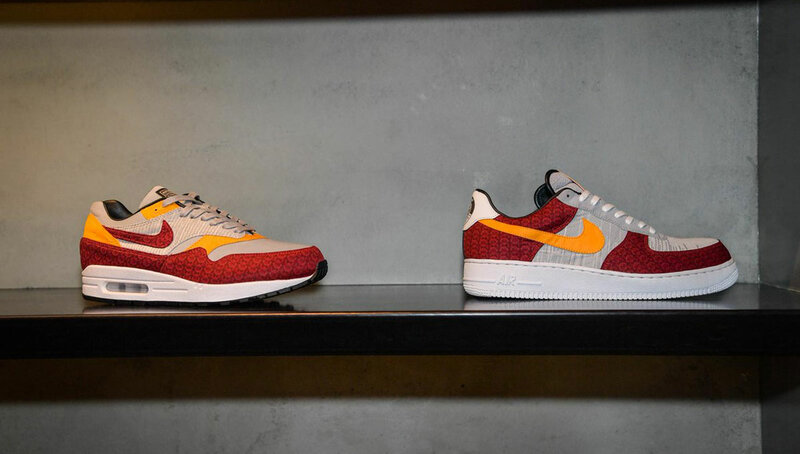 A.S. Roma has established itself as one of the world’s most stylish clubs with their recent New York City pop-up shop, which featured limited-edition clothes, sneakers, and artwork from various designers and creative icons. Could we see more cultural experiences like this as more clubs attempt to position themselves amongst the trendy and hip crowds around the world? 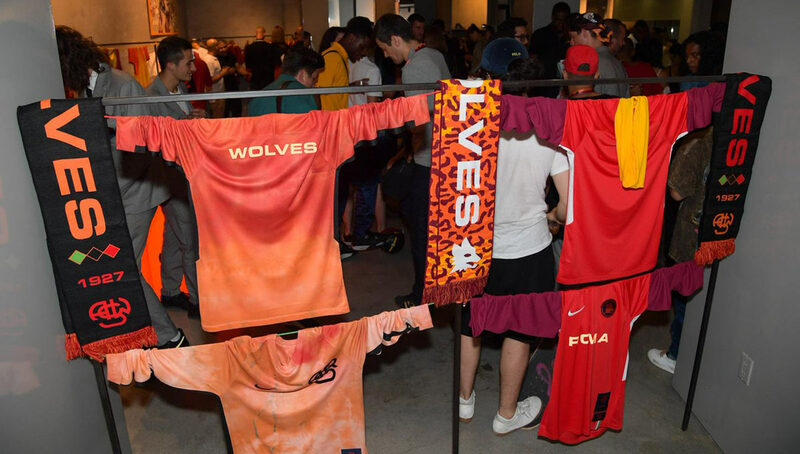 Last summer when A.S. Roma toured the United States for the International Champions Cup, the club unveiled a small but dope collection of merch in collaboration with Nowhere FC. 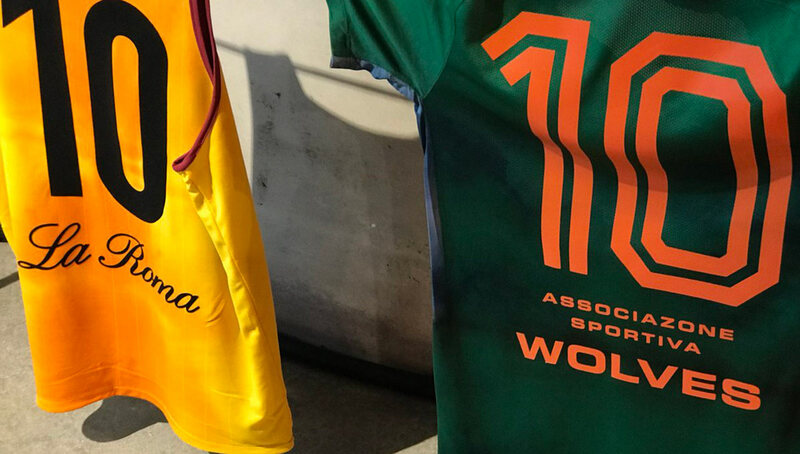 This time around, with Roma playing Real Madrid at Metlife Stadium in New York, the club created a pop-up shop full of surprises. 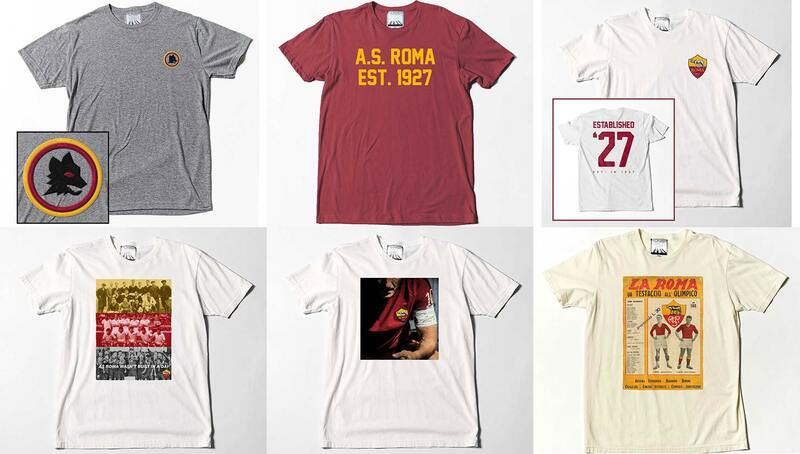 If Roma dipped their toe into collaborations with smaller grassroots brands last year, they dove in head first this year. 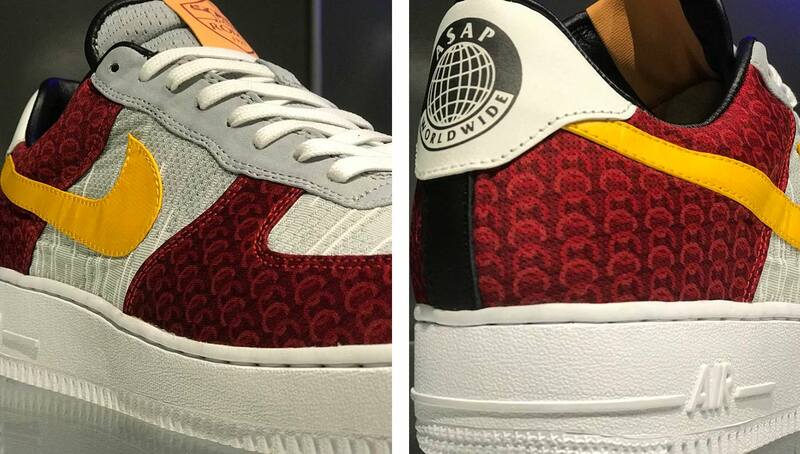 The pop-up shop featured a new “A.S. 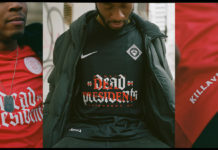 Wolves” collection by Nowhere F.C., several shirts by Los Angeles-based designer Kid Dangerous, leather jackets by Reynaldo Rivera, new art by Rome-based art duo Brivido Pop, and four customized Nike shoes by designer Rich Franklin, including a one-of-one Air Force One with NYC hip-hop conglomerate A$AP Mob. 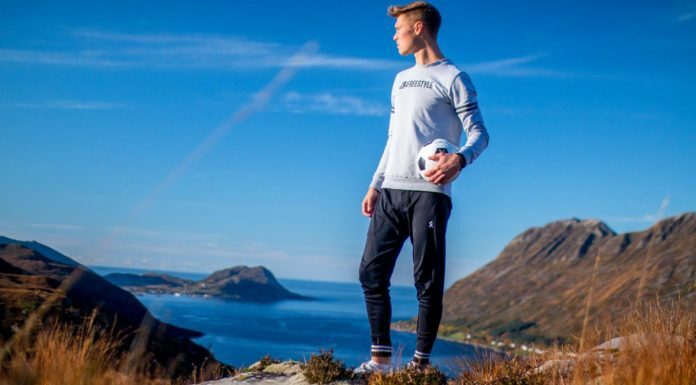 While the pop-up shop was only open for two days, it could have a lasting impact on how football clubs market themselves in the U.S., and in turn the rest of the world. 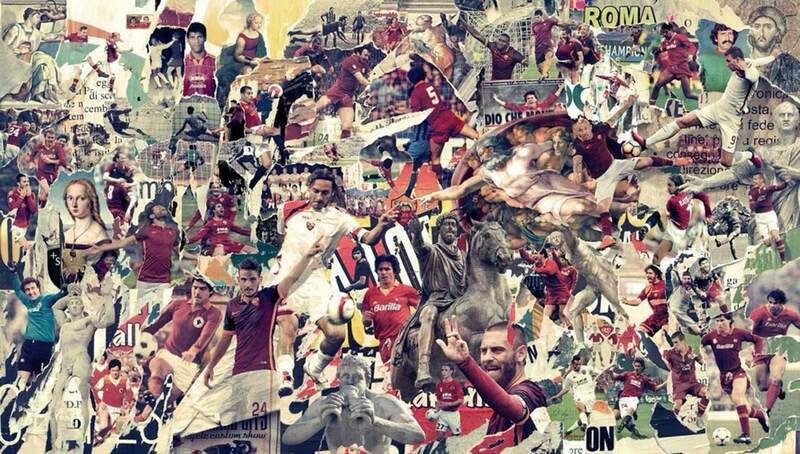 In addition to collaborating with grassroots brands, Roma has been exploring other ways to grow their American audience, such as curating playlists on Spotify including one sponsored and created by Def Jam Records, and cultivating the most engaging account on football Twitter. 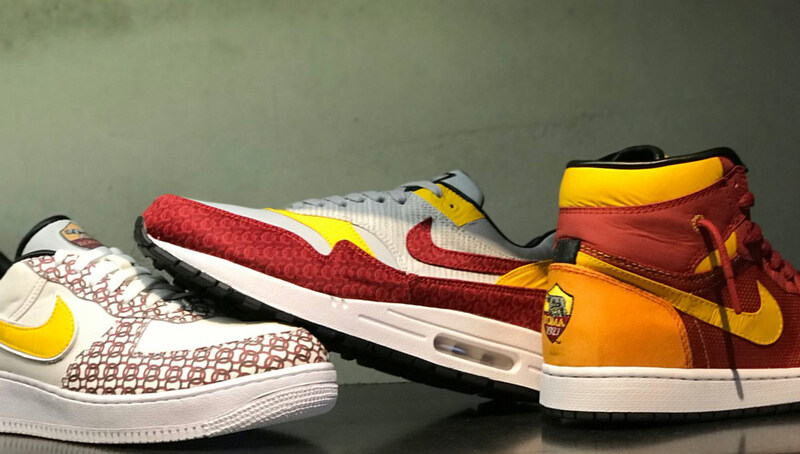 We absolutely love what Roma is doing to spread their image across the globe through fashion and art, yet only a few other clubs in the world are trying to tap into similar areas. 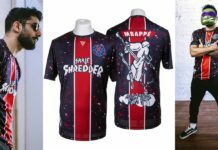 French giant Paris Saint-Germain opened up a few pop-up shops on their U.S. tour last summer which included a customized Nike shoe, in addition to a collaboration with high fashion label Koché last December. PSG also has rumored to have an upcoming release with Air Jordan, which includes a set of kits on top of a special edition PSG Air Jordan I and V, but no information on if this will actually release has come out. 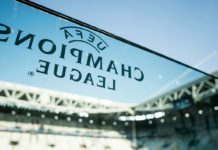 As the boundary between the beautiful game and art only continues to blur, we should see more teams around the world following the trend that Roma and PSG have set. We’re definitely excited to see where this intersection takes us. Should more clubs venture into the fashion and art realms? Drop us a line in the comments below.